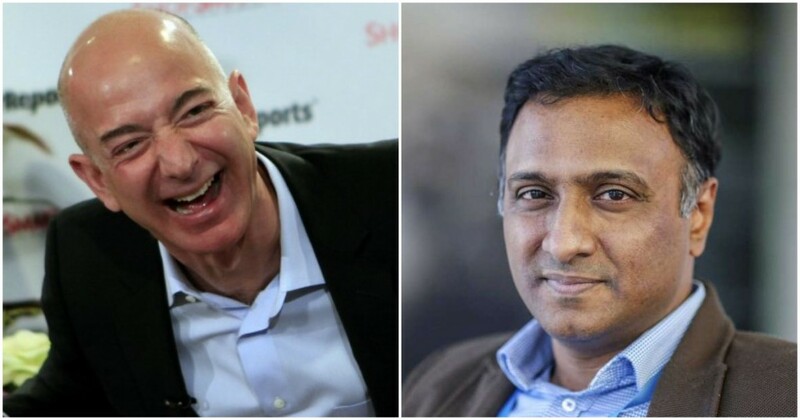 Five years after it entered India, Amazon appears to have finally gnawed past Flipkart’s first-mover advantage. Amazon has just beaten Flipkart for the first time in terms of gross sales or GMV, a Barclays report has said. Amazon generated $7.5 billion in gross sales in the year ended March compared with $6.2 billion generated by Flipkart. This number, however, doesn’t include sales from Flipkart’s fashion subsidiaries Myntra and Jabong. In terms of revenue, however, Flipkart continues to lead Amazon, netting revenues of $3.8 billion, compared to Amazon’s $3.2 billion. Amazon could soon catch up though — the report said that Amazon grew its revenue last year at 82%, compared to 47% by Flipkart. If these trends continue, Amazon could soon beat Flipkart in revenue numbers as well. These numbers fly in the face of claims Flipkart has been making over the last few months. During the Big Billions Day sale, Flipkart CEO Kalyan Krishnamurthy had said that it would alone corner 70% of the overall India market during the period. He’d even gone on to say that he saw no viable competition for Flipkart in the e-commerce space. Amazon’s number one position, though, has been a long time coming for Jeff Bezos, who’s pumped in billions of dollars into its India operations. When Amazon had launched in India in 2013, many had expected it to quickly steamroll Flipkart, which had been founded by former Amazon employees Sachin Bansal and Binny Bansal in 2007. To its credit, Flipkart had continued raising fresh funds, and managed to gamely compete with the biggest retailer in the world. But Amazon seems to have finally caught up with its Indian rival. It hasn’t been easy — as per the report, Amazon made losses of $1.8 billion for the year, while Flipkart only lost $1.3 billion. Amazon, though, has the luxury of having nearly infinite resources at its disposal — after its China operations never took off, India was the largest remaining market for Amazon to win, and Amazon’s been sparing no expense in doing so. Over the last year, Flipkart’s acquired a big-name investor too. After Walmart took over the company earlier this year, Flipkart too has a large global player that can fund its ever-growing losses. To make matters more interesting, Walmart is one of Amazon’s biggest competitors, and will likely not blink when Amazon ups the ante with more funds for its Indian arm. It promises to be an interesting few years for the Amazon-Flipkart rivalry that has so captivated the Indian startup ecosystem over the last few years, but for now, Amazon seems to have pulled marginally ahead.